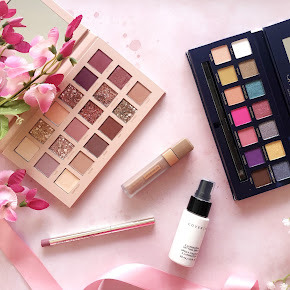 So, back in January I posted my 2017 favourites within different beauty categories and I vowed to bring back monthly favourites after that, and low and behold, here's my February Beauty Favourites. Hopefully I stick to it this time, eh? Yes, I may be a teeny weeny bit late as February ended nearly two weeks ago, but ah well, at least I did it right? 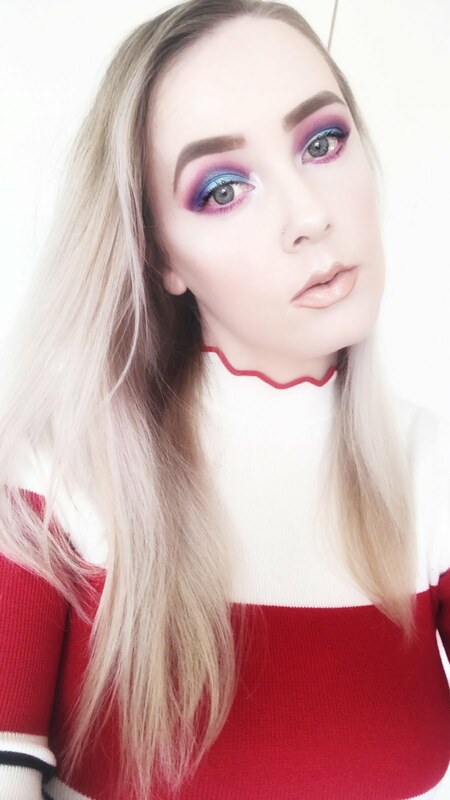 For Christmas I received a lot of new beauty products and I was so excited to try them out that I delved into them straightaway. 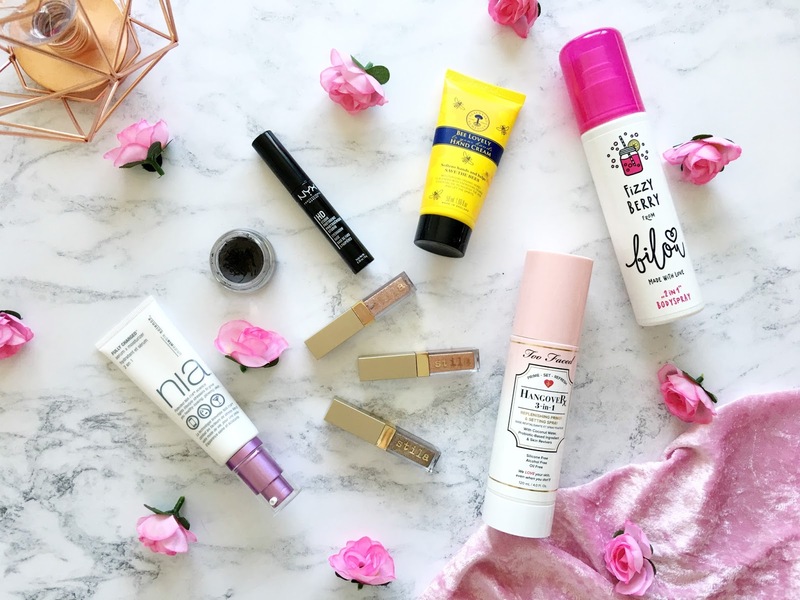 I then found myself using the same products almost daily throughout January and February, and before I knew it, my old favourites were being cast aside for them. I have been using the Freedom Pro Brow Pomade(£5) for the last couple of months now so it's not entirely new to me. I wanted to try something different to my usual ABH Dipbrow Pomade and I seen that this was a dupe for it so of course I had to give it a go. Admittedly I didn't have very high hopes for it, but that's just because I was a little biased because of my beloved ABH pomade. I didn't see how it could replace it, but in time, it's done just that. I have it in the shade Ash Brown which is the perfect shade match for me since I changed my hair from brunette to blonde balayage. The formula is totally different to the ABH pomade. It feels quite stiff at first but with a little baby oil added to it, it loosens up and glides onto my brows wonderfully. The cold weather we've been having lately has been taking a toll on my hands and they've become quite dry and irritated so I've been reaching for a hand cream almost every day to resolve the problem. I have been using two different hand creams alternately but the one that seems to make the biggest difference is the Neal's Yard Bee Lovely Hand Cream(£10). I actually got this from a magazine a few months ago, but didn't know if it would be of any use, until now. It has a lovely moisturising quality to it, as you'd expect, though it does take a while to sink into the skin. Once it sinks in, my hands look totally rejuvenated, and they no longer feel dry or tight either which I'm so pleased about. It's a good thing it smells wonderful too! Of honey and oranges to be precise. It's gorgeous! 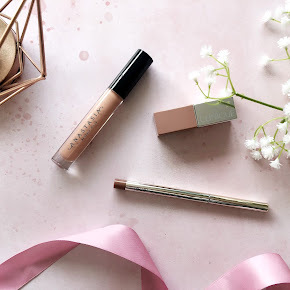 I received the Stila Magnificent Metals Glitter and Glow Liquid Eyeshadows(£23) in gift sets for Christmas last year which I was so excited about as they were hyped about everywhere. Normally when I jump onto a bandwagon, I am quite apprehensive as they don't always live up to your expectations, but boy did these live up to them, and so much more! The moment I tried them I was blown away. They're a great fuss-free option in comparison to loose glitter. They apply beautifully without any fall out in the process and dry on the lids within minutes. I have quite a few shades but there's not a single one I don't like! That's a good sign, isn't it? I totally need to grab them in full sizes soon as I'm afraid of running low on them. I have only ever been impressed by two eyeshadow primers, the Too Faced Shadow Insurance Primer being one, and the Urban Decay Shadow Insurance Primer being the other. 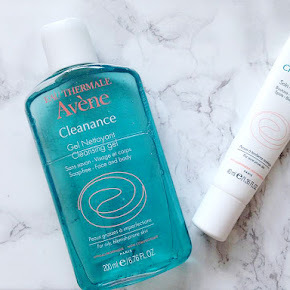 They are both high end, but I'm happy to say I've actually found a new favourite which isn't high end, and is actually a fraction of the price of both of those primers and found in the drugstore. The primer is in fact the NYX HD Eyeshadow Base(£6). 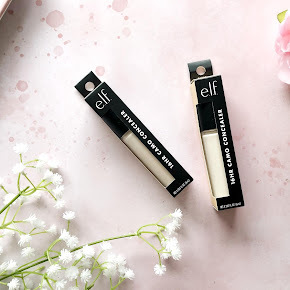 It is a liquid formula but it blends in quite quickly, ensuring my eye makeup stays true to colour and doesn't budge, nor crease through the day. It's so good! The *NIA Fully Charged Serum x Moisturiser(£33) had me hooked after using it for a couple of days. It's a 2 in 1 product which does just the job it's supposed to. It gave my skin a phenomenal amount of hydration, whilst also giving my complexion a lovely healthy glow too. It absorbs into the skin really well and also makes a great base for makeup too. I had the Too Faced Hangover 3 in 1 Primer and Setting Spray(£27) on my wishlist the moment it launched but I just never managed to purchase it for some reason. Luckily Josh bought it for me for Christmas which I was so ecstatic about. It's a 3 in 1 product which primes, sets and refreshes makeup. I'm happy to say that it does all three of those things so it doesn't fail in any of those departments. It has a fine mist too which I love, and it doesn't smell too bad either! It's a very soft, coconut scent. And lastly, is something that I only started using towards the end of February, the *Bilou Fizzy Berry Body Spray(£3.99). It's a 2 in 1 product, so it works well as a deodorant as well as a refreshing body spray. I use it for both purposes, though I find myself using it more as a refreshing body spray. It smells unbelievably good, with a combination of fruity berries and lemon which lingers on the skin for a while after using it.